Liz has given up her quest regarding Red's true identity, but will her secret remain secret? 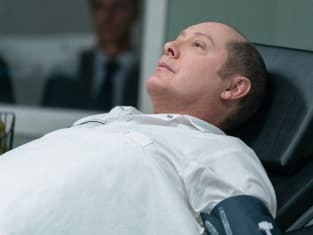 The Blacklist Season 6 Episode 12: "Bastien Moreau: Conclusion"
Please tell me someone is going to answer that. Permalink: Please tell me someone is going to answer that. Executioner: Do you have any final words? Red: I'll save my final words for my next life. Permalink: I'll save my final words for my next life.